Research Grants - Summary - Children's Leukemia Research Association, Inc.
CLRA is on the leading edge of research, stimulating and facilitating the opportunity for new avenues of investigation. 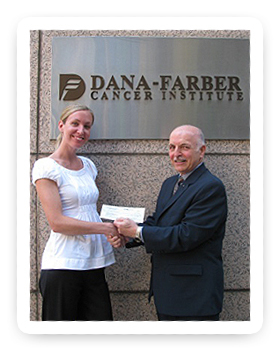 Anthony R. Pasqua, President of the Children's Leukemia Research Association Inc. visited Dana-Farber Cancer Institute to present a $100,000 check to Dr. Kimberly Stegmaier to help her discover new cancer targets and drugs for childhood leukemias. 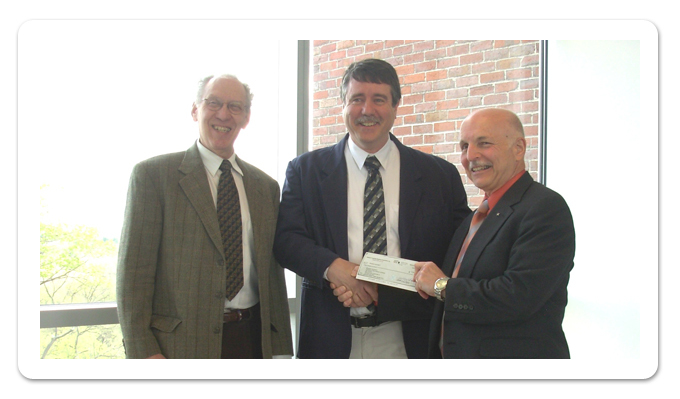 Anthony R. Pasqua, President of the Children's Leukemia Research Association Inc. presents grant check to Dr. Jerry Brown upon his visit to Brandeis University as Dr. James E. Haber looks on. Each year, CLRA's Medical Advisory Committee, consisting of prominent internationally known and respected hematologists, reviews submitted research proposals from doctors nationwide. Using your contributions, we fund research grants for doctors who are conducting the most promising research into leukemia, in the hopes of isolating the causes and finding a cure for this dread disease. The objectives of this committee are to direct the funds of the Association into the most promising projects, and where funding would not duplicate other funding sources. With your help, we are getting closer every day! Because of the support of friends like you, the scientific community is making incredible strides in developing chemotherapy regimens that are extending the lives of leukemia patients. Not everyone under treatment goes into remission but our research grants are funding the examinations into why this is so, and how we can continue to combat leukemia. Any doctor in the United States at the Ph.D. or MD level who is involved in research towards finding the causes and cure for leukemia may apply. Simply complete this form and print, or call or write to us for one. Please submit an original and three copies of your application prior to June 30 of each year. It is then reviewed by our Medical Advisory Committee. A decision is made by the following calendar year. 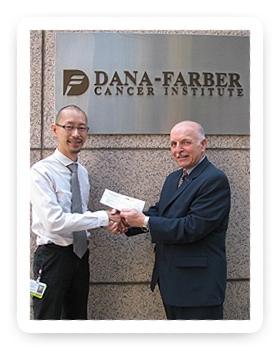 President Anthony Pasqua presents funding to Dr. Takaomi Sanda of the Dana Farber Cancer Institute. 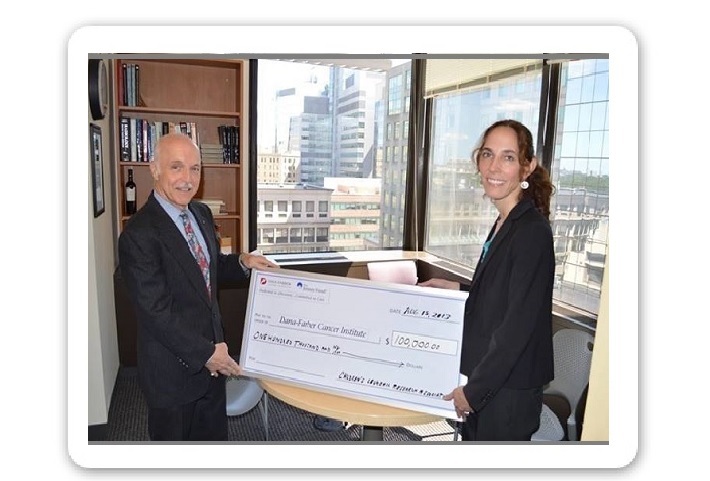 Dr. Jennifer Trowbridge whose vital work is supported by Children’s Leukemia Research Association receiving a check for her research.